Please vote for "F"! Thank you all very much! Thanx for the Cute Piggy font!!! This is one of the cutest fonts I've seen in ages! Thank you! 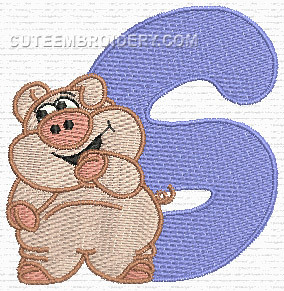 I love the s piggy, perhaps that is because it is my initial. Cheers. This is such a cute alpha. Thank you for another wonderful letter!